Welcome home to 127 Angel Falls Dr. 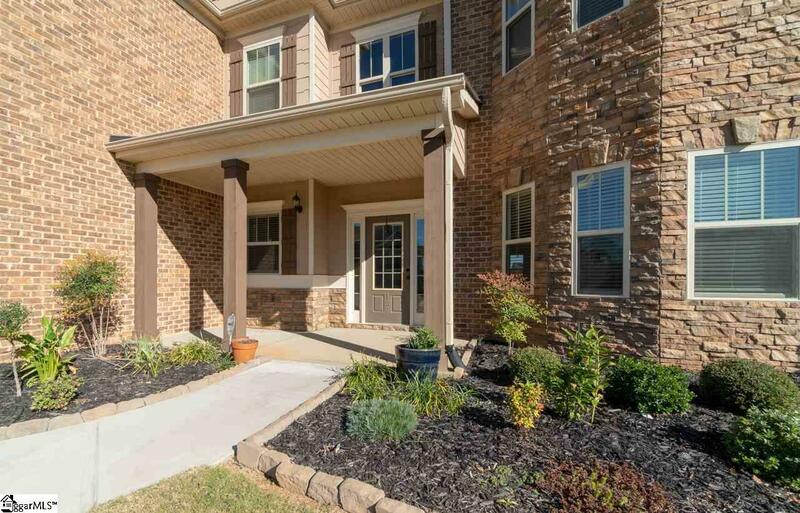 Excellent opportunity in Simpsonville! 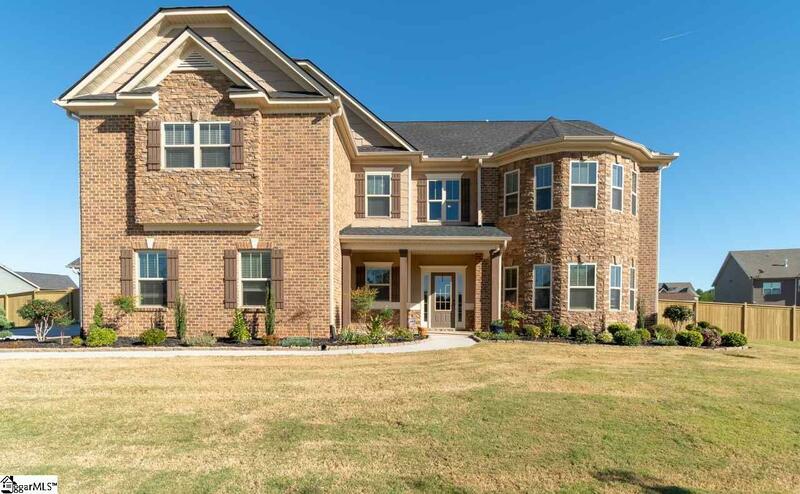 This one of a kind home has been meticulously kept and has every upgrade. 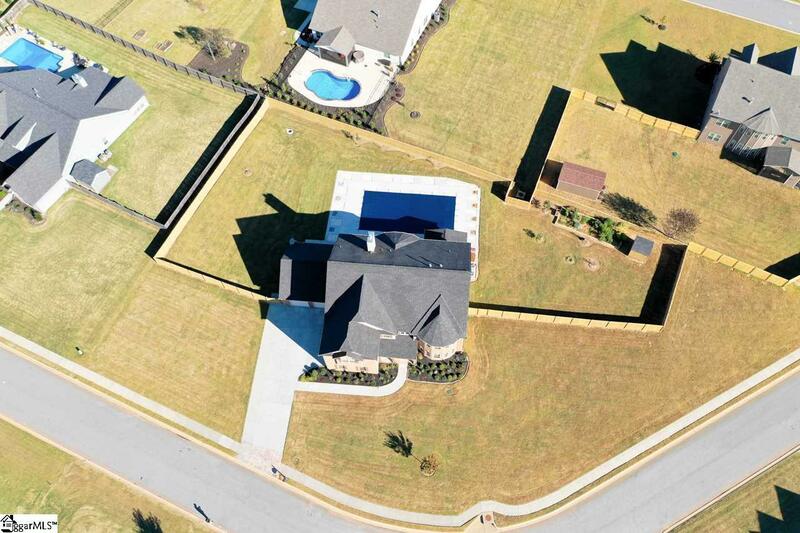 There is no shortage of space on almost an acre of land and 5 oversized bedrooms, 6 bathrooms, Theater/Media room with kitchenette and a complete separate in-law suite. The in-law suite has its own entrance, kitchenette, laundry room and bathroom. The in-law suite is completely Handicap Accessible with a ramp into the entrance wider door ways and the oversized shower with seat can accommodate any situation. Downstairs features all hardwood floors, butler pantry and mudroom off the garage. The oversized dining room has trey ceiling and upgraded windows. There is a stone fireplace and coffered ceiling in the great room with upgraded windows. The bright gourmet kitchen has granite, gas stove, double ovens and an oversized island. The downstairs also has a bedroom with its own full bath. 2 bedrooms upstairs have a Jack and Jill bathroom with upgraded tile. Enjoy the newly installed 36x19 Grecian In-Ground salt water pool with lights and additional concrete patio. There is still plenty of room in the fully fenced yard to enjoy the custom built garden. Additional features are a 3 car garage, outdoor shed, additional pad on the driveway and the list goes on. 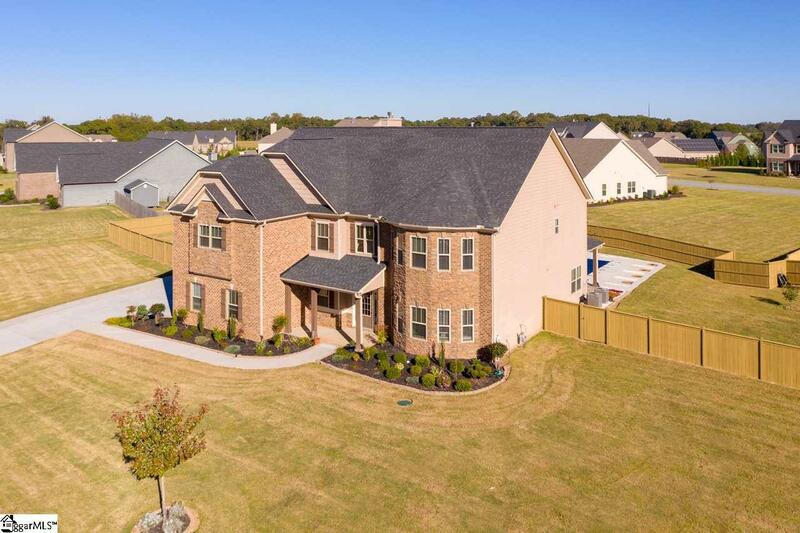 Located in Clear Springs this home is zoned for the new Rudolph Gordon Elementary and Middle schools and is minutes from downtown Simpsonville and Five Forks. Don't miss this one of a kind opportunity! Listing provided courtesy of Christian Vicino of Modern Real Estate Consultants.